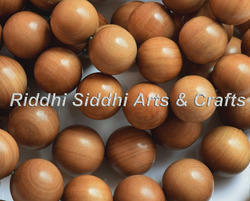 Our range of products include sandalwood dharma beads, sandalwood muslim misbahah beads, sandalwood subha muslim prayer beads, subha islamic prayer beads, subha islamic bead and subha islamic beads. The term tasbih is an irregular derivation from subhan, which is the first word of the constitutive sentence of the first third of the canonical form of tasbih. A Misbahah subhah, tasbih or tespih is a string of prayer beads which is often used by Muslims to keep track of counting in Tasbih. Also, it is the Arabic word for a prayer rope used by Christians to say the Jesus Prayer. A misbahah is used by Middle Eastern Christian monks to pray the Jesus Prayer 33 times. 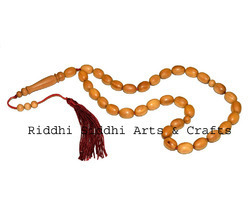 A misbahah is a tool which islam adoppted used to perform dhikr including the 99 names of Allah and the glorification of god after regular prayer. A misbahah is a tool which islam adopted used to perform dhikr including the 99 names of Allah and the glorification of god after regular prayer. · The term tasbih is an irregular derivation from subhan, which is the first word of the constitutive sentence of the first third of the canonical form of tasbih. · A Misbahah subhah, tasbih or tespih is a string of prayer beads which is often used by Muslims to keep track of counting in Tasbih. Also, it is the Arabic word for a prayer rope used by Christians to say the Jesus Prayer. 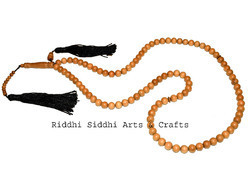 · A misbaha is used by Middle Eastern Christian monks to pray the Jesus Prayer 33 times. · A misbaha is a tool which Islam adopted used to perform dhikr including the 99 names of Allah and the glorification of god after regular prayer. Packaging Details: We supply our item in duly pack in Corrugated box, Bubble sheet and finally we pack in external big box and strapped it to reach our customers safely. · Islam adopted the misbaha usually consists of 99 beads (corresponding to the 99 Names of Allah), or sometimes 33 beads (in which case one cycles through them 3 times to equal 99). Some Muslims also believe that its display or presence can act as a good luck charm or to ward off evil or misfortune. In these instances it is rarely if ever used for prayer. Islam adopted the misbaha usually consists of 99 beads (corresponding to the 99 Names of Allah), or sometimes 33 beads (in which case one cycles through them 3 times to equal 99). 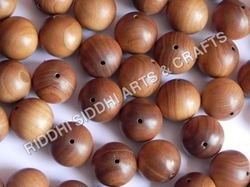 Some Muslims also believe that its display or presence can act as a good luck charm or to ward off evil or misfortune. In these instances it is rarely if ever used for prayer. 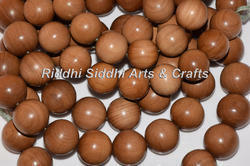 We are a leading preparer of Spiritual Islamic Beads. 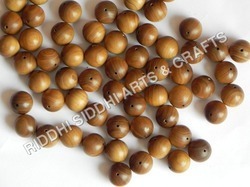 The beads are traditionally used to keep count while saying the prayer known as the "Tasbih of Fatimah", which was a form of prayer offered as a gift by Muhammad to his daughter, which is recited as follows: 33 times "Subhan Allah" (Glory be to God), 33 times "Al-hamdu lilah" (Praise be to God), and 33 times "Allahu Akbar" (God is the greatest) which equals 99, the number of beads in the misbaha. The word tasbih derives from the Arabic root s-b-h which means "to glorify." Each of this rosary's 99 beads represents one of the names, or attributes, of God.